I have got lots of people who have taken it upon themselves to be my mentors. Most of the people I have business deals with are decade(s) older than me and I am forced to think differently than when I was surrounded at work by my peers. And most of these older entrepreneurs share their experience and business plans with me; they try to encourage me and even though I charge them above the market rate for the services I render them, they not only pay in cash but are constantly sharing their business wisdom with me. And I believe it's because I'm much younger than them. It's in our nature to want to help those who pose no threat to us and are going through a phase we've passed through many years ago. We willingly teach a child how to memorize the multiplications table and feel good about it because we see it as helping someone who is far less than us become a little more. And when you are a young entrepreneur almost every old entrepreneur you meet will want to help you, mostly with advice and then some business referrals. They treat you nicely and make out time for you as long as you keep to asking for advice. Don't ask them for funding and don't ask them to promote your services/products to their contacts. 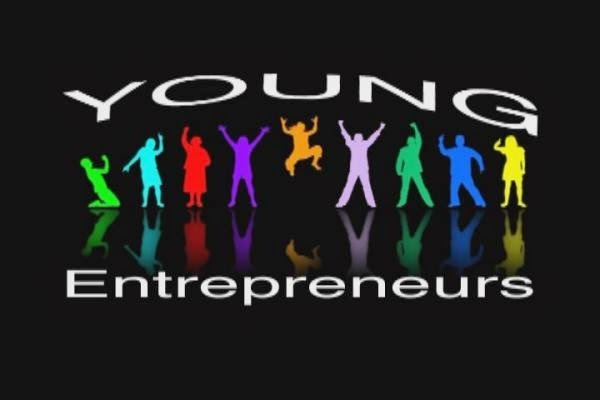 Being a young entrepreneur is the easiest way to move up the social rung. You will get to hang out with older entrepreneurs, join exclusive clubs for business owners/directors and gain a wealth of knowledge that can't be found in books. And when you pick a specific service like me, no one feels threatened by you and they are more willing to partner with you knowing fully well that you are too poor and young to steal their ideas. They not only encourage you but also equip you for the coming challenges, challenges they have faced before. They take you as a special person because you don't disturb them and you help give life to their longtime plans. You've got more benefits than an older entrepreneur because everyone assumes that you need all the help they could offer and they help you for free. Then it's much easier to join all those exclusive business clubs: Ikoyi club, IoD and Lagos Country Club because you'll now have lots of members in your network who will be willing to stand as your reference. That's the biggest difference between having fellow employee friends and entrepreneur friends. While employee friends will be drilling you with questions and trying to avoid signing any document for you, entrepreneur friends are less bureaucratic and will even give you the idea of joining the clubs they are benefiting from. They are more trusting and helpful. And always willing to help the young and rising entrepreneur.